Councilmember Debora Juarez asks everyone to be on the same team during this process, in response to an attendee’s attempt to monopolize the introductions with a specific concern. 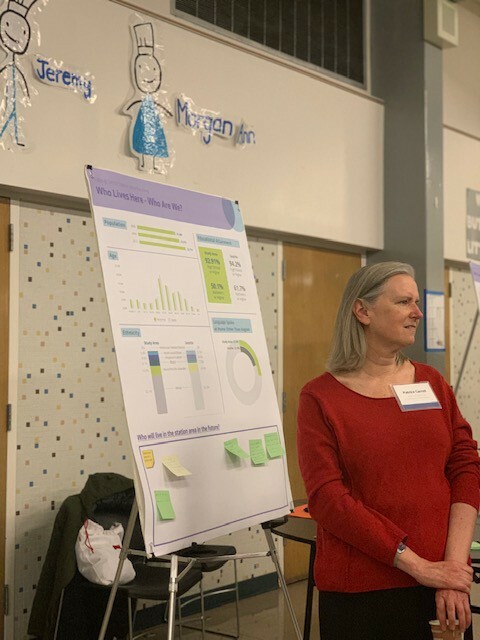 The City of Seattle’s Office of Planning and Community Development (OPCD) hosted an open house in North Seattle on March 13 at Ingraham High School. There was a fantastic buzz in the room and a wonderful two hours of discussions. 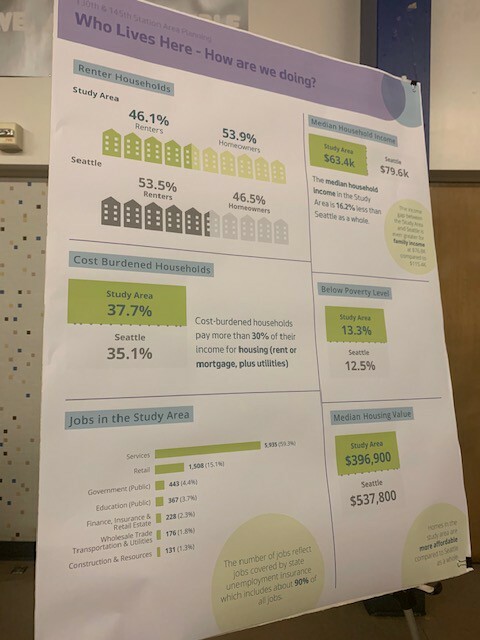 The City of Seattle’s analysis of displacement risk and areas of opportunity maps were shared to help attendees focus on equity concerns. 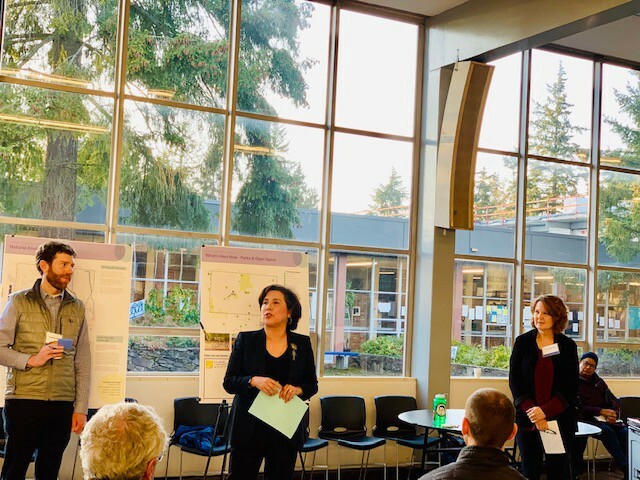 The event was attended by Councilmember Juarez, Sound Transit and Seattle Department of Transportation representatives. 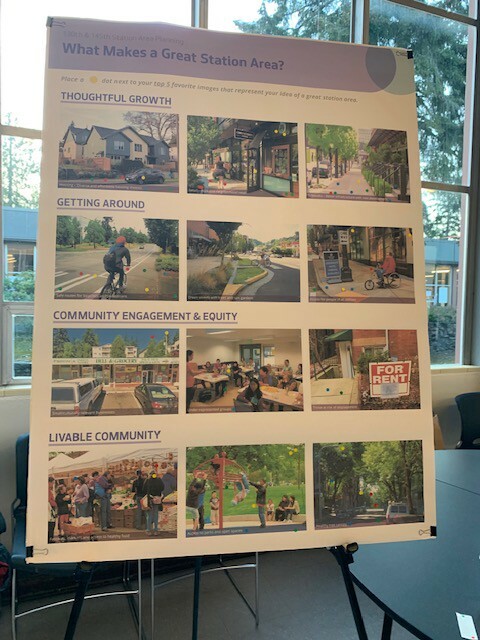 Community members had opportunities to provide feedback about transit connections, sidewalks, future development and express concerns about parks and equity. There were over one hundred people in attendance. 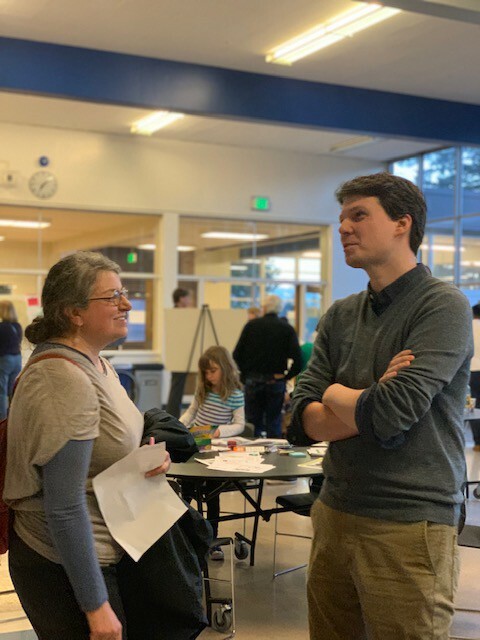 Over one hundred people gathered at Ingraham High School on March 13 to talk about the future of North Seattle. The term “station area” typically refers to the area around a station that is accessible within a ten-minute walk. On flat terrain, this roughly correlates to a half-mile walk. 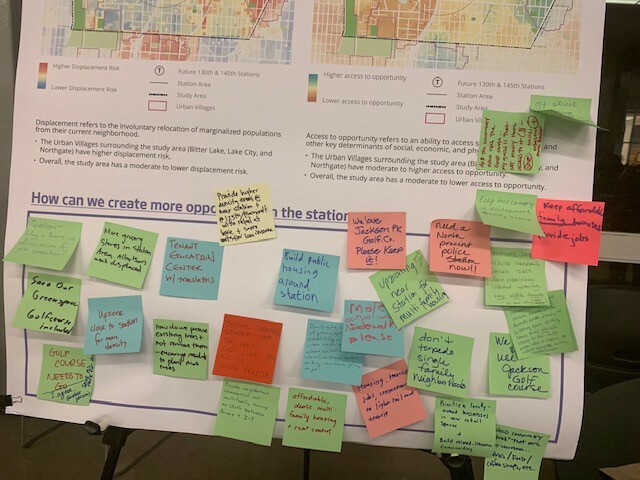 Office of Planning and Community Development (OPCD) will also study a larger area to understand how the new stations can be accessible by bus, bike, people on wheels, and, of course, cars. The event on March 13 focused on both current and future residents, as well as those working and enjoying recreation in the area. 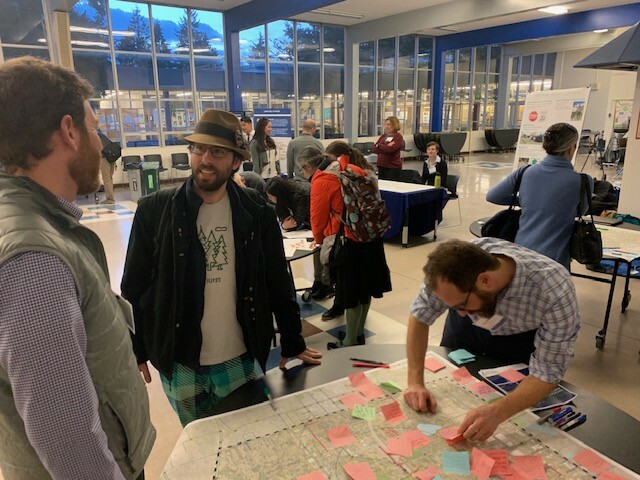 At various tables attendees shared their ideas about sidewalks, parks, bike lanes, and other mobility concerns. 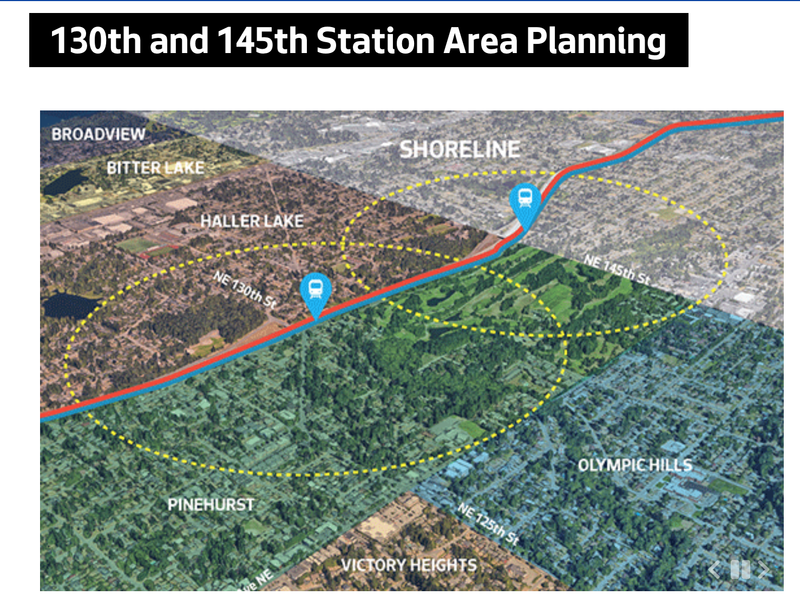 The NE 130th & 145th Station Area Planning process is an opportunity for the community to come together and create a vision for the area surrounding the future light rail stations. Share The Cities wants voices that are often left out of the conversation included. 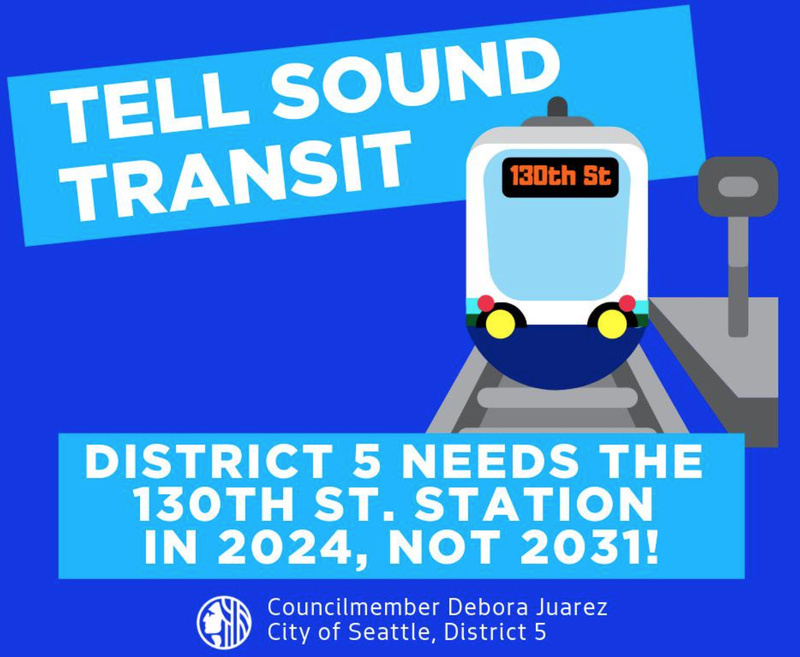 We knocked on doors and spoke to neighbors and many of them were unaware light rail was coming to 145th in 2024 with 130th planned for 2031. At the event Laura Loe, Share The Cities founder, spoke to a number of people who were very excited about light rail. The overwhelming sense in the room was, “Let’s bring it sooner!”. Dan Remke, told us he will be “30 yards away” from the future station. He said that “light rail is a net good to the community but the personal impacts to us and neighbors is challenging”. His family bought into the neighborhood ten years ago. The idea of light rail coming directly by his home every 7 minutes isn’t what he planned for his family. 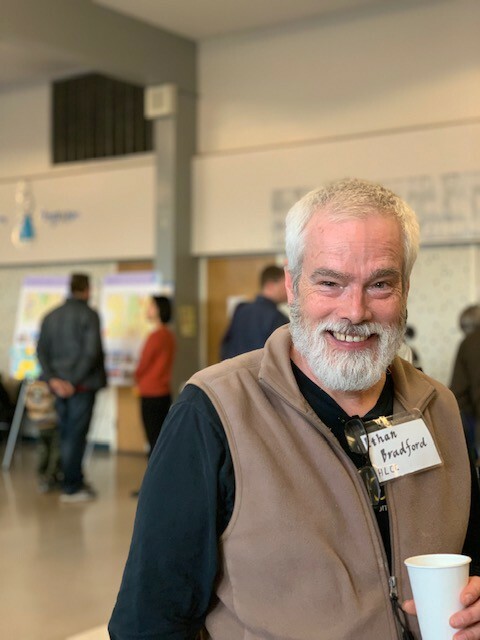 We need to work with neighbors like Dan and also find resources to do equitable direct outreach to the many neighbors who did not attend the Open House. Attendees were asked to share their “big ideas”. 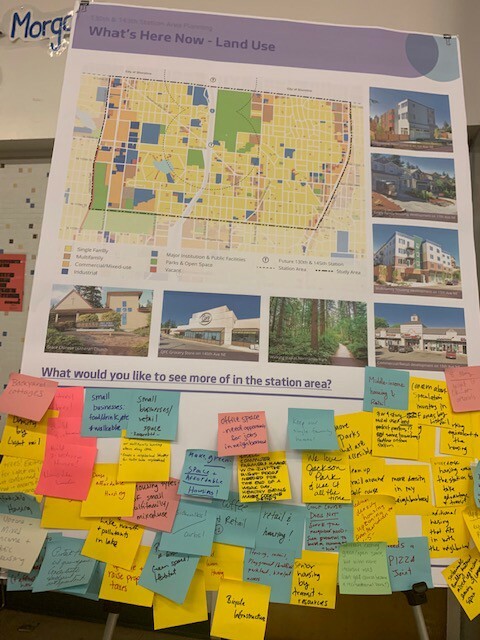 The Open House focused on housing types, mobility options, equity concerns, and collecting community members’ hopes and dreams for North Seattle. 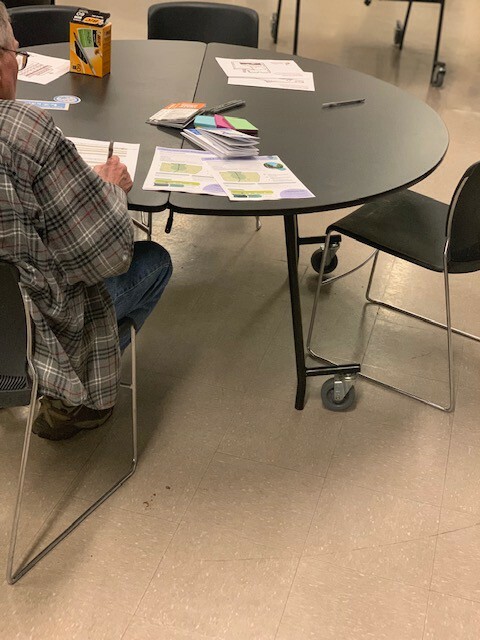 There were opportunities for community members to complete OPCD’s survey. Ethan Bradford of the Haller Lake Community Club said that his community is excited about the upcoming changes. Patricia Stordeur and Jesse Piedfort discuss the upcoming changes to their community. 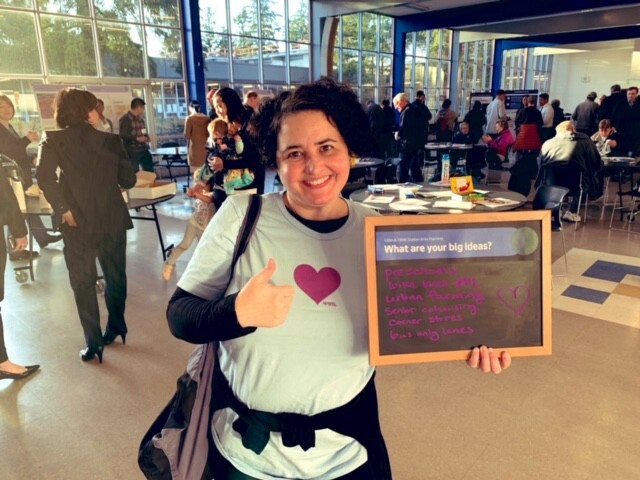 Community members left comments about preschools, coffee shops, grocery stores, and what they love about their community now. Patrice Carrol from OPCD explains the neighborhood demographics. There are 23,710 neighbors in the Study Area with 27.6% of people speaking a second language at home.